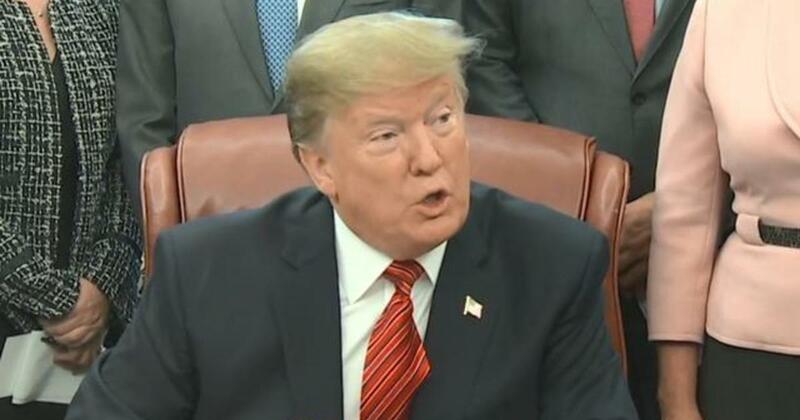 President Donald Trump is taking the shutdown battle to the U.S.-Mexico border, in the hopes of boosting his case for the border wall after negotiations with Democrats halted over his demands for funding. Trump walked out of his meeting with congressional leaders, as efforts to end the partial government shutdown fell apart. The White House meeting in the Situation Room ended after just 14 minutes, where Democrats claim they asked Trump to re-open the government but that he told them if he did they wouldn’t give him money for the wall. Meanwhile, hundreds of thousands of federal workers now face lost paychecks on Friday. During his stop Thursday in McAllen, Texas, Trump visited a border patrol station for a roundtable on immigration and border security and will get a security briefing on the border. He seeks $5.7 billion for the wall that has been his signature promise since his presidential campaign.